Sounds amazing. 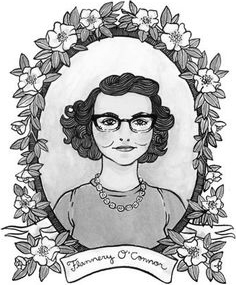 I read through Flannery O’Connor’s letters a few years back. There is humor even in her minor observations about life. My personal favorite was her attempt to justify her own poor spelling by saying “I am an innocent speller” (I’ll remember that the next time a submit a paper). I’m sure there are more quotes like this in the new collection. So I guess it will be another transfer from me to Flannery’s estate, I hope she has some deserving descendent who stands to benefit from all my contributions.